Right to information can wait! The quest for some files that are destined to rot in the vaults of the Indian Prime Ministers continues. 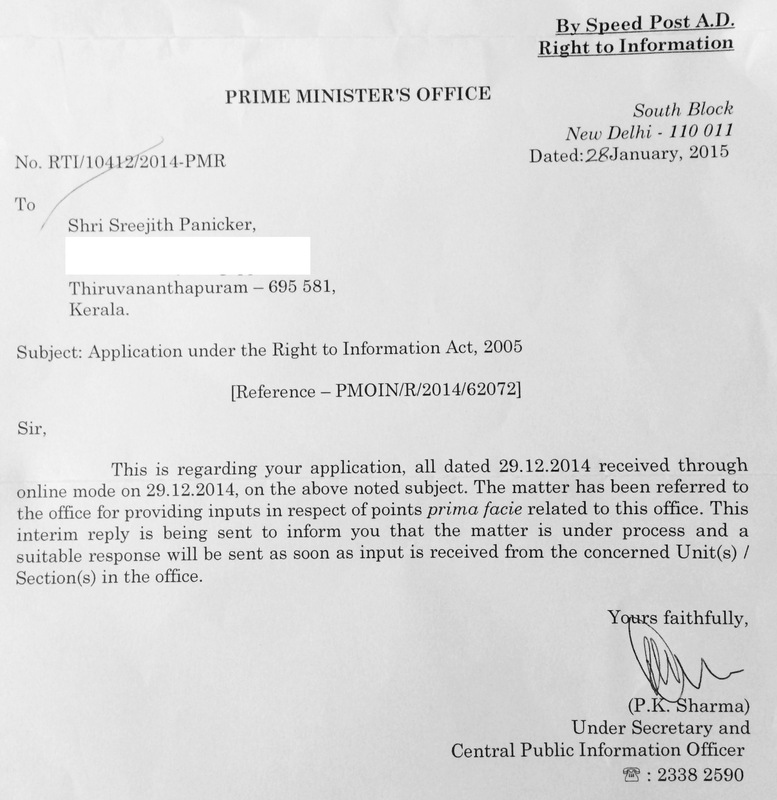 On behalf of Mission Netaji, I had requested for the details of some of the files kept top secret by the Prime Minister’s Office more than a month ago. I received a reply from his office that they need more time in responding to my questions. This delay is unusual and happens invariably in all questions about those files. Apparently, the office is seeking an approval for their reply from the higher-ups. It is worth mentioning that the office has not given any timelines on availability of the information. Right to information goes left! Respond to Right to information can wait!